Observing that “It is the duty of the Court to impart the commercial understanding with a “sense of business efficacy”, a bench of Justice Ranjan Gogoi and Justice R Banumathi held that where there is a principal agreement towards a single commercial project executed through several contracts between different parties, the other contracts are an integral part of the principal agreement and parties can be referred to arbitration. The bench said the parties to the different contracts took conscious steps with commercial understanding to commission the solar plant. The bench also held that, “…only where serious questions of fraud are involved, the arbitration can be refused”. The court said so while deciding the appeal moved by Ameet Lalchand Shah and Rishab Enterprises revolving around commissioning of a photovoltaic solar plant in Uttar Pradesh. In February 2012, Rishab Enterprises, sole proprietorship concern of Abhishek Manu Singhvi, entered into two agreements with M/s Juwi India Renewable Energies Pvt. Ltd. (Juwi India) namely: (i) Equipment and material supply contract for purchase of power generating equipment to the tune of Rs.8,89,80,730 and (ii) Engineering, installation and commissioning contract for installation and commissioning of the solar plant for Rs.2,20,19,270. Both these agreements contain arbitration clause. Rishab Enterprises also entered into sale and purchase agreement in March, 2012 with Astonfield Renewables Private Limited for purchasing CIS Photovoltaic products to be leased to appellant No.3 – Dante Energy Pvt.Ltd. to be installed at the solar plant at Dongri, Raksa, district Jhansi, Uttar Pradesh. This agreement did not contain arbitration clause. An equipment lease agreement (ELA) was entered into between the Rishabh and Dante Energy whereby Dante Energy agreed to pay the Rishabh Rs.13,50,000 as lease rent for March 2012 and from April 2012 onwards, the rent payable was Rs.28,26,000. The solar plant in Jhansi was commissioned and energized on March 16, 2012. Dispute arose between the parties when Rishab alleged that Dante Energy has defaulted in payment of rent and that Astonfield committed fraud by inducing Rishab to purchase the photovoltaic products by investing huge amount. It also alleged that the appellants have committed misrepresentation and criminal breach of trust so far as the equipment procured and leased to Dante Energy. A criminal complaint was filed with the Economic Offences Wing at Delhi against which Ameet Lalchand moved high court for its quashing and the same is sub-judice. Owing to the dispute between the parties, appellant No.3 – Dante Energy issued notice invoking arbitration clause and nominated Justice Sujata Manohar, former judge, Supreme Court of India as the arbitrator. The appellants sought for reference to arbitration of all the four agreements by contending that the Sale and Purchase Agreement is the main agreement and that other three agreements are inter-connected as they are executed between the same parties and the obligations and the performance of the terms of the agreements are inter-connected. Respondents Rishab and Singhvi resisted the same contending that the suit is for declaration that the agreements are vitiated due to fraud and misrepresentation and while so, the matter cannot be referred to arbitration. They also contended that the agreements and disputes were not referable to arbitration. 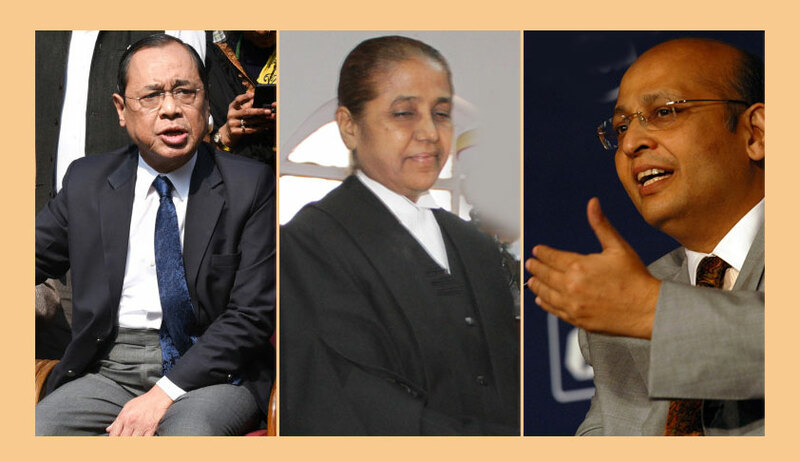 The single judge of Delhi High Court, as well as the division bench, ruled in favour of Rishab and Singhvi, saying the four agreements are not connected with the principal agreement and cannot be referred to arbitration in the light of fraud. After hearing all parties, the Supreme Court set aside the judgment of the high court. “In a case like the present one, though there are different agreements involving several parties…it is a single commercial project namely operating a 2 MWp Photovoltaic Solar Plant at Dongri, Raksa, District Jhansi, Uttar Pradesh. Commissioning of the Solar Plant, which is the commercial understanding between the parties and it has been effected through several agreements. The agreement - Equipment Lease Agreement (14.03.2012) for commissioning of the Solar Plant is the principal/main agreement. The two agreements of Rishabh with Juwi India:- (i) Equipment and Material Supply Contract (01.02.2012); and (ii) Engineering, Installation and Commissioning Contract (01.02.2012) and the Rishabh’s Sale and Purchase Agreement with Astonfield (05.03.2012) are ancillary agreements which led to the main purpose of commissioning the Photovoltaic Solar Plant at Dongri, Raksa, District Jhansi, Uttar Pradesh by Dante Energy (Lessee),” the apex court noted. “What is evident from the facts and intention of the parties is to facilitate procurement of equipment, sale and purchase of equipment, installation and leasing out the equipment to Dante Energy. The dispute between the parties to various agreements could be resolved only by referring all the four agreements and the parties thereon to arbitration,” it said. “This is a case where several parties are involved in a single commercial project (Solar Plant at Dongri) executed through several agreements/contracts. In such a case, all the parties can be covered by the arbitration clause in the main agreement i.e. Equipment Lease Agreement (14.03.2012). “Since all the three agreements of Rishabh with Juwi India and Astonfield had the purpose of commissioning the Photovoltaic Solar Plant project at Dongri, Raksa, District Jhansi, Uttar Pradesh, the High Court was not right in saying that the Sale and Purchase Agreement is the main agreement. The High Court, in our view, erred in not keeping in view the various clauses in all the three agreements which make them as an integral part of the principal agreement namely Equipment Lease Agreement (14.03.2012) and the impugned order of the High Court cannot be sustained,” it held. The court also rejected Rishab’s argument that agreements cannot be referred to arbitration because of allegations of fraud and misrepresentation. “It is only where serious questions of fraud are involved, the arbitration can be refused. In this case, as contended by the appellants there were no serious allegations of fraud; the allegations levelled against Astonfield is that appellant no.1 - Ameet Lalchand Shah misrepresented by inducing the respondents to pay higher price for the purchase of the equipments. There is, of course, a criminal case registered against the appellants …before the Economic Offences Wing, Delhi. The appellant no.1 – Ameet Lalchand Shah has filed Criminal Writ Petition before the High Court of Delhi for quashing the said FIR…Suffice to say that the allegations cannot be said to be so serious to refuse to refer the parties to arbitration. In any event, the Arbitrator appointed can very well examine the allegations regarding fraud”.